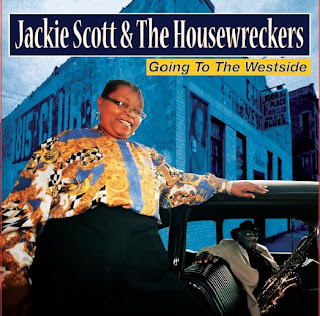 I just received the newest recording, Going To The Westside, by Jackie Scott & The Housewreckers. This recording is a lot of fun. 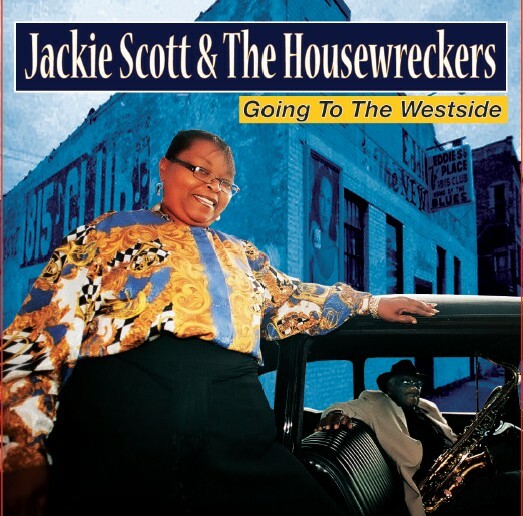 Jackie has a really solid voice and the band is cookin' funky! Don't look at the cover and say..."Oh yeah...I got it". You don't! This is something special and you need to take the time to check it out. I'm on my 4th time through and it's really enjoyable. My favorite tracks are Pink Cadillac, I'm Tired and Been Trying To Figure Out but I found every track on the recording enjoyable. Often when I need to listen to a cd over and over it's because I am trying to find something to say. In this case, it's because I was trying to find words to describe how much I like it...in case you haven't noticed...unless I get on a rant...I haven't a lot to say. Oh, and Eddie Shaw is featured as well! If you like your blues funky with a lot of soul....this is your ticket. I'm keeping mine so don't ask me for it!